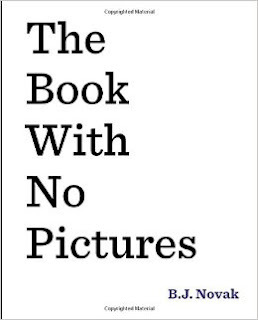 This week's topic was children's books! This can include Middle Grade (but try to recommend more than just Harry Potter and Percy Jackson!) Feel free to talk about your childhood faves or more recent reads. I was always a big reader, even back when I was a kid, so this was an easy one. And yes... I am recommending stuff other than Harry Potter. Try not to faint. Put this one relatively low on the list, because it's middle grade, not children's, but it was still really important to me as a kid. 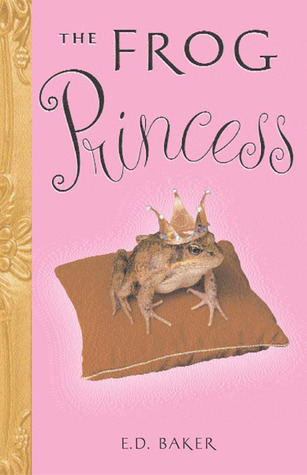 A series of chapter books focusing on Princess Emma of Greater Greensward, the story begins when Emma kisses a prince-turned-frog... and turns into a frog herself. The series served as the (very, very, very loose) inspiration for the movie The Princess and the Frog, and it's one of my nostalgic favorites. For my money, the first four are the best, but each book as something to enjoy, blending fantasy and comedy exceedingly well. 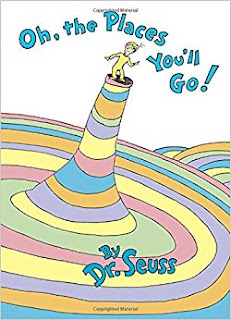 A classic by Dr. Seuss, this is a popular one for both kids and new graduates. A simple rhyming book about beginning your life's journey, it's uplifting and very sweet, and gives you a good feeling about your future. I'd say to go read it, but I'm willing to bet that you already have. Some books break the fourth wall. This one smashes it with a wrecking ball, and sets the remains on fire. Designed to be read to young children, this is exactly what it sounds like -- a book with no pictures. What it has instead are words for you to read aloud... designed to make you look and sound as ridiculous as possible. It's very simple, but very funny -- my friend and I read it when we found it in a bookstore when we were 17 and 19, respectively, and we were laughing our heads off the whole time. It's newer than other stuff on this list, but it deserves the spot. You know this one, don't you? This one is very similar to #3, but I put it a bit higher on the list for nostalgia value, as it's one of the very first books I can remember reading. 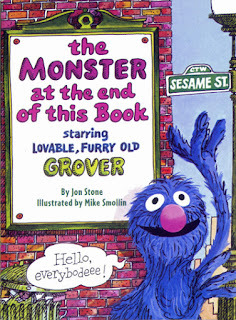 Serving as a lot of kids' first introduction to the fourth wall, this book stars Grover from Sesame Street, as he urges the reader to stop reading the book, as there is a monster at the end, and he's afraid of monsters. 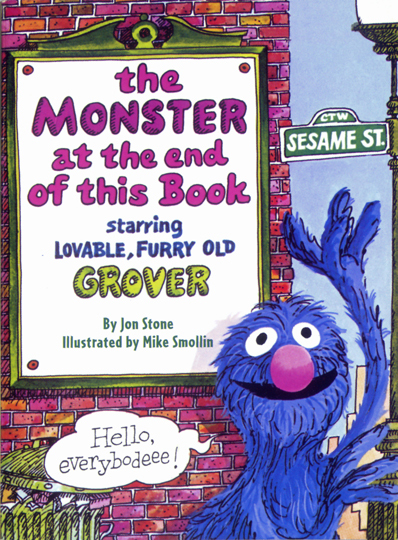 It's adorable and hilarious, and great fun to read aloud to younger kids. 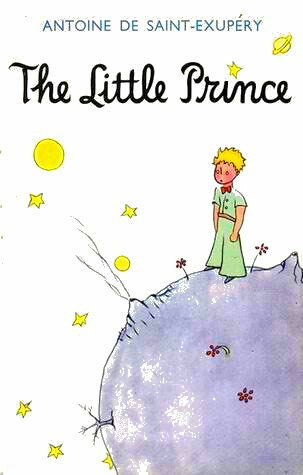 This is one of my favorite books of all time. A melancholy fantasy story about a pilot who crashes in the Sahara and meets a mysterious little boy who claims to be from an asteroid, this book examines adulthood through a child's eyes, and what it can mean to grow up. 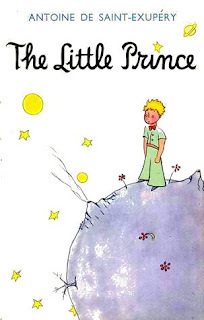 I first read this in fourth grade and loved it immediately, though a lot of the subtler themes went over my head back then. It's a great story for kids and adults alike, one that I've read and reread multiple times, and intend to do so many times more. The Princess and the Pea by Lauren Child -- the art is beautiful, seriously, check it out. The True Story of the Three Little Pigs by Jon Scieszka -- it's friggin' hilarious. The Stinky Cheese Man and Other Fairly Stupid Tales by Jon Scieszka -- ditto, and I just realized it's the same author. The English Roses by Madonna -- cute, funny, pretty art, and the chapter books that followed were pretty good, too. Where the Wild Things Are by Maurice Sendak -- it's a classic for a reason. Little Blue and Little Yellow by Leo Lionni -- really underrated, but very, very sweet. Thanks for reading this list! What are some of your childhood favorites? Tell me about them in the comments below!